Rio says that Koodaideri is set to be its most technologically advanced mine when it comes online in 2021, leaning heavily on automation. The Koodaideri iron ore mine in the Pilbara has been given the green light to go ahead by its owner Rio Tinto (ASX:RIO,NYSE:RIO,LSE:RIO), which has formally approved AU$3.5 billion in spending for the massive project to proceed. In a Thursday morning release (November 29 AEST), the company said that Koodaideri was to be its most technologically advanced mine when it came online in 2021. Construction at the 43-million-tonne per year mine will begin in 2019. “Koodaideri will deliver a new production hub for Rio Tinto’s world-class iron ore business in the Pilbara, incorporating a processing plant and infrastructure including a 166-kilometre rail line connecting the mine to the existing network,” said the release. This is just one of the replacement projects due for construction over the next few years, having had its prefeasibility study completed in 2016, and the subject of a US$2.2 billion spend between 2018 and 2020 on replacement mines announced earlier this year. Koodaideri will soak up the majority of Rio Tinto’s replacement mines development budget between now and 2020, and will underpin the company’s “Pilbara Blend” iron ore product, as well as its emphasis on low-cost operations and flexibility in capacity to shift with demand. Operations at the mine will tuck into a 598 million-tonne reserve grading 61.9 percent iron, with the ore body described by the company as 20km long and 3km wide. 2,000 jobs will be created during construction, while 600 permanent roles will remain once the mine is operational. Automation is the name of the game when it comes to Koodaideri’s ‘most advanced mine’ label, with Rio CEO J-S Jacques describing it as a “game changer”. “It will be the most technologically advanced mine we have ever built and sets a new benchmark for the industry in terms of the adoption of automation and the use of data to enhance safety and productivity,” said Jacques. The company has been investing heavily into automation, with robots beginning to take over freight train operations from July this year onwards, allowing human workers to be repurposed. 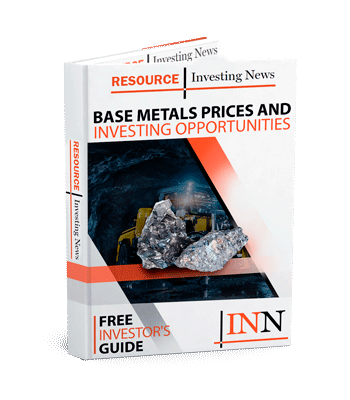 A number of replacement mine projects are underway in the Pilbara, with Fortescue Metals (ASX:FMG) indicating it will go ahead with its US$1.275-billion Eliwana project, and BHP (ASX:BHP,NYSE:BBL,LSE:BLT) giving the okay to proceed with its US$2.9-billion South Flank project. Rio Tinto’s value closed down 2.17 percent on the ASX on Wednesday (November 28) at AU$72, but the company’s release came out overnight to market response is yet to be factored in.